Then there was the famous WHITE cartoon. At the time the comment was made that Whyalla could survive without its largest employer, BHP. 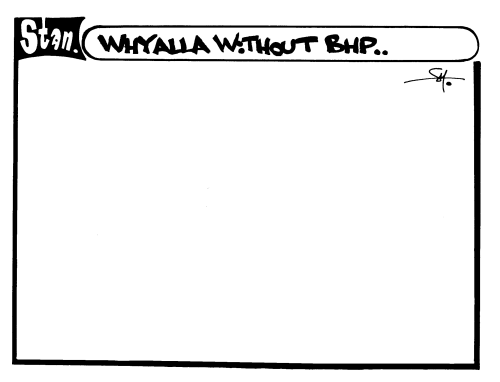 The cartoon was completely blank, suggesting that without BHP Whyalla wouldn’t exist. People kept ringing me up after this was published, a few puzzled and thinking the paper had forgotten to add the cartoon to the title block, others getting the joke.